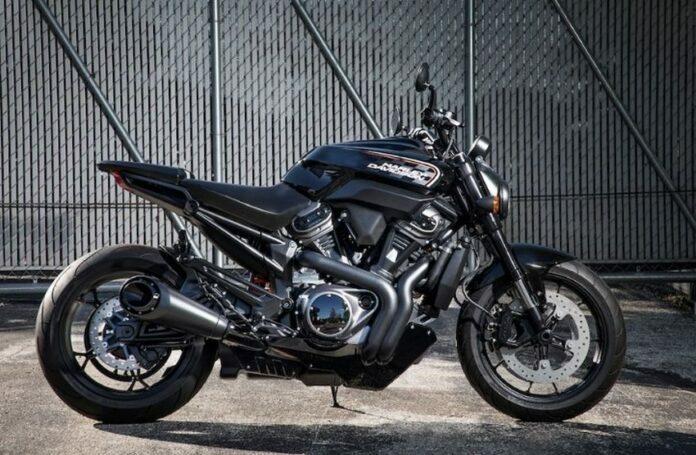 Harley-Davidson introduced several new motorcycles, one of them being an upright naked-style street bike. 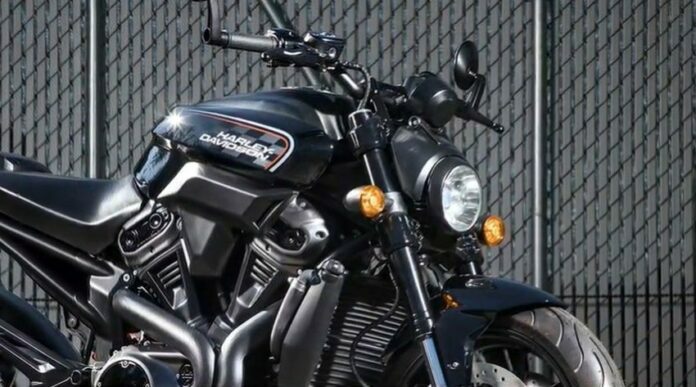 As a Streetfighter model, this prototype will enter production with the planned selling during the 2020 model year. 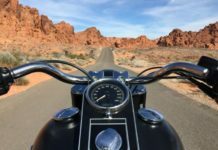 The engine of this bike is a version of the new multi-purpose water-cooled V-twin Harley engine, which also powers the Pan America adventure-bike, as well as the new roadster type custom. It is a bit smaller, sporting 975cc. 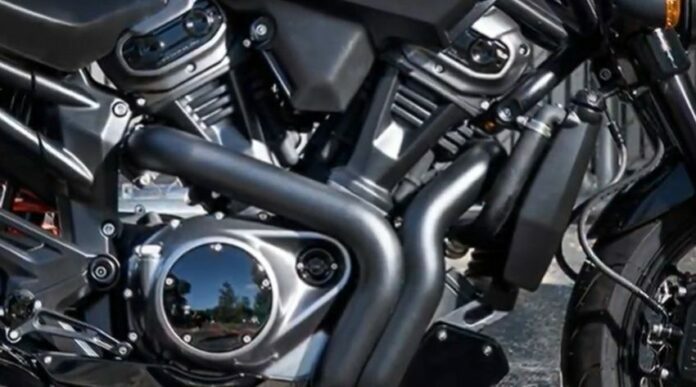 Similarly to the other three models, the engine uses a 60-degree vee, with large cylinder heads that hide a pair of double overhead camshafts. 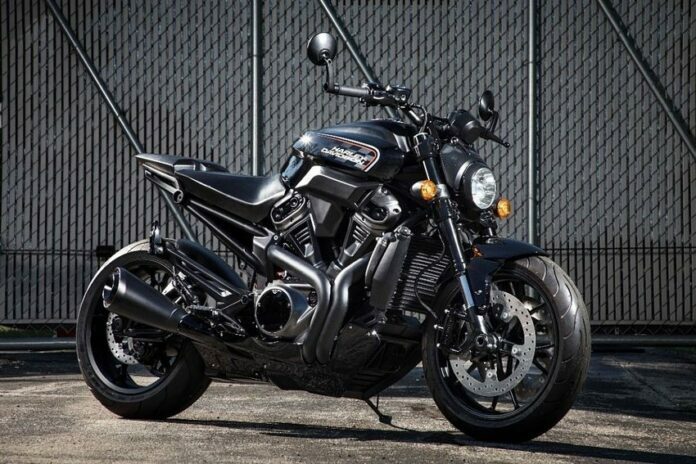 This gives all of the necessary power and performance that a modern naked bike needs to compete against its rivals. There is a low-mounted slash-cut exhaust present, and looks and sounds very tough. The tubular steel frame is as well similar to the custom/roadster bikes. 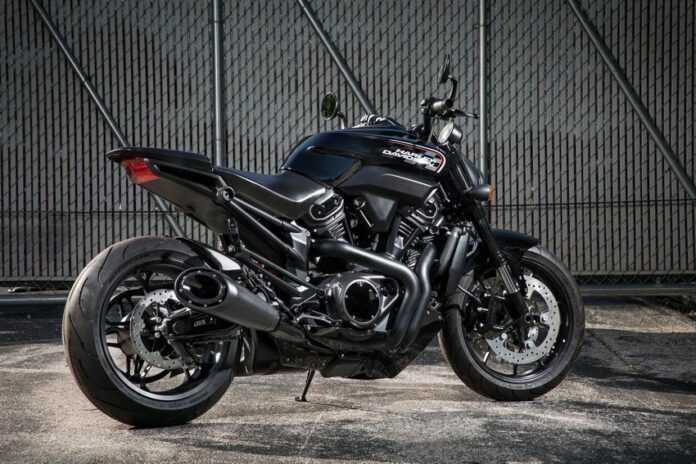 However, this streetfighter has a stubbier and more rigid-looking swing arm. This is probably designed to boost maneuverability and rear grip when going on fast-paced rides. 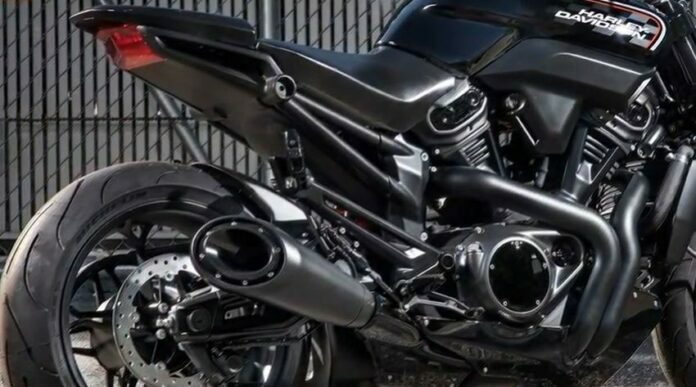 This Harley prototype is based on conventional 17-inch spoke alloy wheels, in combination with Michelin Pilot Power 2CT tires in 120/70-17 front size, and 180/55-17 rear sizes. There is a pair of cross-drilled disc brakes, gripped by a pair of sturdy radial-mount Monoblock calipers made by Brembo. The braking setup also has stainless steel brake lines. Harley-Davidson’s own opposed-piston caliper do the braking work in the back. 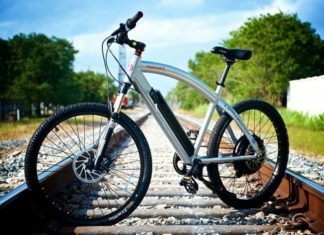 It is not sure if the bike uses a cable or a hydraulically clutch. What is certain is that it has a belt final drive, instead of a chain/sprocket model. 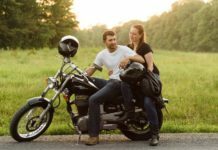 When it comes to suspension, the motorcycle uses an inverted fork and a vertically mounted shock absorber. Another unclear detail is whether it operates through a linkage. The bike is rather sporty, as it bears rear-mounted foot controls as well as a tallish handlebar. Additionally, it has a set of rearview mirrors that integrated into the ends of the bars. Overall, its lines are pretty sharp, and the vees emphasize the tail, the swing arm, and the 975cc engine at its heart. We cannot forget the deep cutouts for the knees on the fuel tank. This is always necessary when breaking heavily. Other technical specifications, and maybe more importantly the pricing are not yet available at this time. Stay tuned as we will continue covering any and all news regarding this cool new bike from the iconic motorcycle brand.